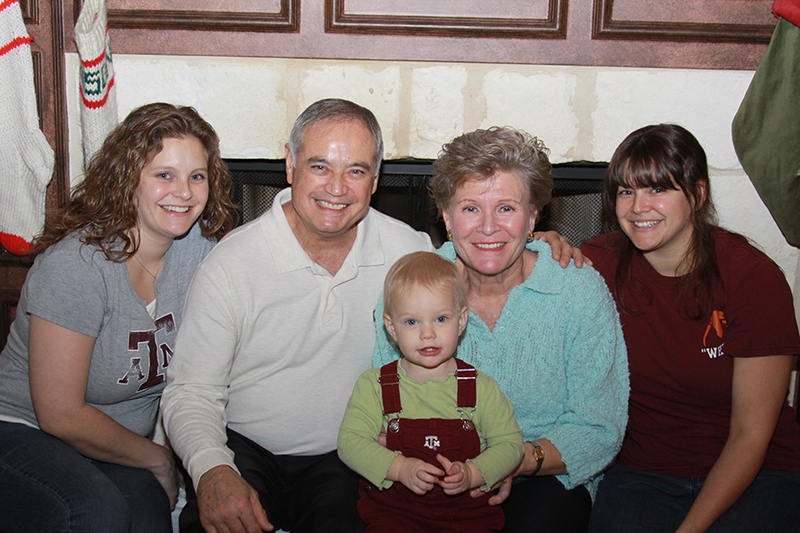 Three generations of Phillipses bleed maroon. From left are Allison Cartwright ’03, Steve and Linda Phillips with their granddaughter Paige Cartwright (Class of 2024) and Julie Stanford ’05. Steve Phillips’ passion for Texas A&M University is matched only by his abhorrence of ignorance and wasted dreams. Both emotions are the inspiration for a bequest to the Texas A&M Foundation that will fund three endowed scholarships for future Aggies he and his wife Linda will never meet. The Phillipses named two of their scholarships for their daughters, Allison Cartwright ’03 and Julie Stanford ’05. They chose to direct scholarship funds to industrial distribution and early childhood education students in honor of their daughters’ A&M degrees. The third scholarship will bear their names but they have not decided how its funds will be directed. A San Antonio native, Steve Phillips attended Assumption Seminary for two years and completed his education at St. Mary’s University. He served as an artillery officer in the Army, flew C-130s for the Air Force and worked as a custom homebuilder, ending his career with Beldon Roofing Co. in San Antonio. Now retired, he mentors elementary school children, serves as president of his homeowners’ association and on the Hollywood Park City Council. 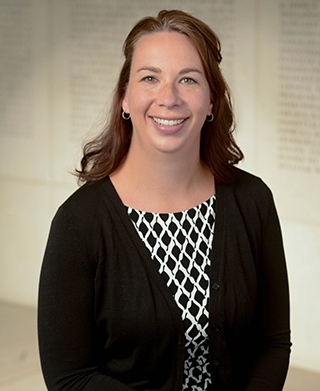 Linda Phillips was raised in Illinois, graduated from the University of Iowa, and worked for 30 years as a registered nurse for the Audie L. Murphy Memorial Veterans Hospital in San Antonio. The Phillips’ older daughter works for Lockheed Martin in Littleton, Colo., and the younger teaches kindergarten in Tallahassee, Fla. They beam with pride when they talk about the accomplishments of their children and their own achievement in getting them through Texas A&M. “We’re not rich, but we are retired, in our early 60s and financially independent,” Steve Phillips said. “We’ve been frugal: While all of our friends were buying mansions and fancy cars, we lived in the same house and drove the same car for years. We only go out to eat about six times a year and we are sitting on the first piece of furniture we bought in 1977. This couch keeps us grounded. Endowed scholarships keep giving permanently. When the Phillips’ bequest is realized after their lifetimes, the Foundation will invest the funds and provide annual payments to Texas A&M, which will award scholarships in perpetuity. These endowed scholarships provide a lasting legacy for the Phillips family and an opportunity for future Aggies. Unsure about which method of giving is best for you? Request our FREE book, Provide and Protect, which will provide you with choices on how you can provide for your loved ones, receive tax benefits, generate potential retirement income and support Texas A&M at the same time.